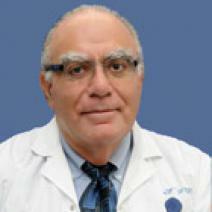 Moshe Inbar - a known Israeli professor, a highly qualified specialist in the treatment of the cancer. The medical professional interest is focused on the treatment of breast cancer by using various techniques from the field of clinical oncology.He uses extensive radiotherapy in his practice. Moshe Inbar is the author of an effective method of treatment involving the use of the latest diagnostic techniques and new drugs, selected in accordance with the individual characteristics of a patient, as well as the form and severity of the illness. The specialist has a lot of positive results of the treatment of various types of cancer. During the First Medical Center in Tel Aviv held the following positions:. Memorial Cancer Centre, Sloan-Ketteringa in New York (USA). Residency in radiation therapy in the hospital «Royal Marsden». He developed a unique method of complex treatment of breast cancer. He is the author of 249 scientific publications.